Thomas A. Jones, 77, cherished husband of Linda C. and beloved father of Jennifer (David) Patrykus and Kristen (George) Hymes, passed away on December 21, 2017. He is also survived by four grandchildren, Rhys and Quinn Patrykus and Baylee and Abbey Hymes. Tom served as an officer in the U.S. Army for seven years, retiring as a Lieutenant Colonel from the Army Reserves. He worked for various trucking companies before starting Link Transportation in 1985. He was a family man, first, a dedicated veteran and loved volunteering, mainly to help others. He enjoyed golf, travel, reading, being with his friends and, mostly, spending time with his family. Visitation will be 10:00 until 12:00 p.m. Saturday, January 6, 2018 at the First Congregational Church of Tallmadge, 85 Heritage Dr., Tallmadge. 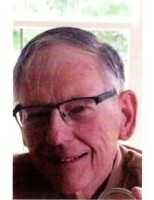 Memorial service will be 12:00 NOON following visitation at the church with Rev. Neal Sadler officiating. Interment will be at Mt. Hope Cemetery in Solon, Ohio at 3:00 p.m. In lieu of flowers, memorial donations may be made to University Hospital Seidman Cancer Center, 11100 Euclid Ave., Cleveland, OH 44106.